Get the game here. There are four versions of the game available: version 1.1 for X68000, the final 2001 update of version 1.1 for Windows, the 2005 Windows version, and the 2017 Windows version. 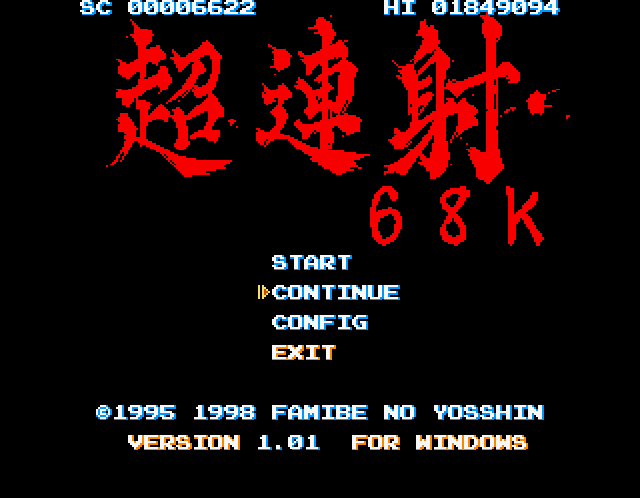 The X68000 versions and the 2001 Windows versions do not have Hard rank. Pretty sure all current scores are the 2005 version. By the way, if anyone has another version of the game that's not on the site, please let us all know. Preserve it! Similar to Raiden, stage 0 is the seventh stage in a loop. The explosion you see at the start of stage 1 is actually the stage 0 boss exploding. Last edited by Despatche on Sun Nov 25, 2018 9:09 pm, edited 8 times in total. Nice to see the hard mode rankings finally get updated. Since we're now taking note of autofire, I did not use it in my run. Same with me, I didn't use autofire. Is it possible that autofire has negative effects on your shots? I don't see why it would. Since the frequency of shots maxes out really quickly, I don't think you'd get any sort of gaps if you used autofire. 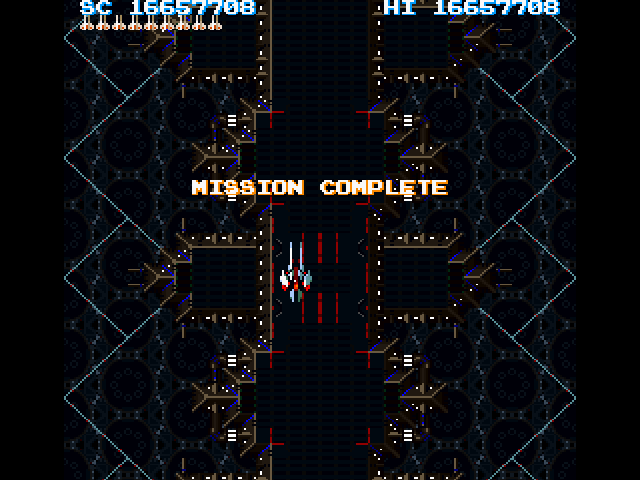 The main reason many people don't use autofire is because the rate at which you tap is pretty comfortable compared to other old school shmups. Getting external autofire for CRS68K is more like a convenience instead of a necessity. Autofire users might have actually have a slight advantage stamina wise in long sessions, but it's kind of negligible. There's no disadvantage to using autofire, I just didn't because I could never get an autofire button working (MAME's a lot easier provided you have a version with autofire settings...). @ The guys with the TOP scores here: I am very impressed ! Not sure if you meant to officially submit that, but I added it anyway. Just as an FYI, my submitted score was absolutely done with autofire (keyboard play, autofire via AutoHotKey scripting) as I find the game much more enjoyable than mashing through the whole thing. Ignore the version number on the title screen, as the game has been "Version 1.01" for a very long time despite major updates. Did you use the dated 2005, the one dated 2017, or another version? I've spent the past weekend trying to beat my PB from 9 years ago and here it is. btw, you pretty much want the 2017 version if you have Windows 7 or later. Been playing a bit of this lately and managed to get a new PB. I had a much better run going when I was playing on my Roommate's PC a few days ago, but I slapped the windows key by accident at the 2-5 boss :[. Disable your windows key, friends. It's a cruel and worthless button. From a year ago. Never got around to getting back to this. Of course, using Windows 8.1 to play that game. Died at the Stage 3 Boss of Loop 2 (Stage 2-3 Boss). I am getting good at it but at least I beat the first loop.